I was asked to facilitate 15 elementary coaches’ reflections on their past year’s experiences and gather direction for the next school year. I think that the questions I used can be helpful to others who are leading instructional coaching teams. 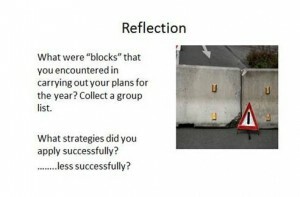 If you are an instructional coach you can use the questions individually for personal reflection. I also feel that the questions would make a great principal/coach end of year conversation. 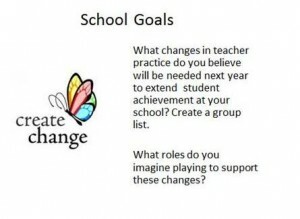 We began by exploring impact on student achievement. We next examined the roadblocks that coaches encountered and how those challenges produced learning for coaches or identified areas to seek professional growth in the coming year. We now examined what coaches felt were the important changes that needed to occur in their schools classrooms to reach desired student outcomes and what roles they as coaches would play in gaining those changes. We concluded by looking back on the list of desired PD for the coaches and added a few items that this examination of their roles for next year uncovered. The best leaders I’ve gotten to know aren’t just the boldest thinkers; they are the most insatiable learners. 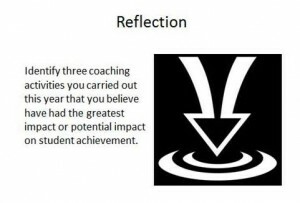 Whatever reflection process you use as the school year closes out be sure that it leads to identification of future learning opportunities.